Another excellent installment in this arc! I keep thinking that the creative team cannot possibly keep up the quality of the writing and artwork, but yet with every issue I am astounded and impressed. This issue is based upon a discussion between three familiars: Salem, the cat; and Nag and Nagaina, two cobras. They share the tales about how they were all once human but were transformed into animals. These tales of transformation comprise the issue. What is so brilliant about this story is that it makes reference to numerous stories and folk tales that are part of our culture. There are allusions to Shakespeare, Hawthorne, Kipling, the Arabian Nights, pirate folklore, and so on. So what this short installment in the graphic series manages to achieve in just a few pages is demonstrate how stories cycle through our history, that our society and culture is guided by the stories that have been retold through generations. As with so much great literature, you can read this without knowing the references to “Hamlet” and “Macbeth” or having never read “Rikki Tikki Tavi” and still enjoy it for the sheer elegance of the3 writing and the evocative artwork. But having knowledge of these texts adds another level of depth to the tale, making it interesting to a literature nerd like myself as well as being an entertaining read for the average reader. There is nothing I love more than stories that serve as portals to literature, opening the vistas of the literary world to people who may not have been exposed to it. This is definitely one of those portal tales, or gateway drugs, enticing you into the wonderful world of art and the imagination. This graphic tale just gets better and better. It’s scary, exciting, intellectually intriguing, and visually enticing. I cannot find a single flaw in this issue. It is truly a masterpiece of graphic horror. Sabrina, now turning sixteen on Samhain during a full moon and an eclipse, prepares to participate in the dark baptism, where she will take her place among the followers of Satan. The ceremony is set to take place in the woods, a scene right out of a Nathaniel Hawthorne tale. The illustrations depicting the ritual are dark, disturbing, and fascinating, all at once. When Sabrina sacrifices the goat to conjure Satan in the flesh, it is like a ghastly and surreal projection from the darkest regions of a Goya painting. This is horror raised to the level of art. When horror as an art form is done well, it forces one to stare into the darker places within the psyche and face the inner demons that populate that realm. This series does that, and does it well. It is impossible to read this and not get drawn into the story. It is also impossible to read this and not pause to contemplate your own inner darkness. Everything is a balance of light and shadow, and this coaxes you to gaze into that shadowy part of yourself, regardless of how scary it is doing so. Yesterday I told my daughter what I was doing as far as blog posts for the month of October. 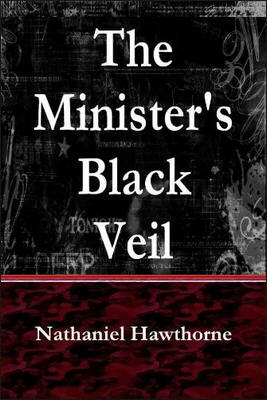 She quickly suggested that I write a post about The Minister’s Black Veil. She said it wasn’t exactly horror, per se, but it was definitely creepy in a psychological sense. The fact that my daughter would suggest Hawthorne made me a proud father indeed, and the fact that the story she suggested was one that I was unfamiliar with solidified this as the choice for my next post. The veil separates Hooper from the rest of humanity. It represents a wall behind which he is trapped, a prisoner within himself. He can never truly connect with another person because there is always a part of him that is hidden, some dark aspect of the self which can never be shown. Hawthorne is essentially asserting that we all have dark secrets, aspects of ourselves of which we are ashamed, afraid, or disgusted. We harbor thoughts and memories of things that make us sad or fill us with anger and remorse. As a result, no one can really know another person completely. There will always be thoughts or feelings that are not expressed, which remain hidden behind the veil. Reverend Hooper claims that a time will come “when all of us shall cast aside our veils.” But this will never happen as long as we harbor prejudices against others and hide our thoughts. Humanity as a whole must attain a level of acceptance where we realize that we are all the same, that we all have our dark secrets and our inner fears. Once we can accept that about ourselves and others, we can start to open up and hopefully shed our veils. I heard that this month is National Short Story month, or something like that, so I decided to reread one of my all-time favorite short stories: “Young Goodman Brown” by Nathaniel Hawthorne. I love a good horror story and this one is about as good as it gets without having to rely on gore. In addition, there are a lot of thought-provoking ideas woven into the story, which makes it all the more interesting to read. 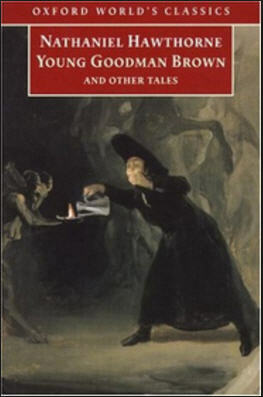 The story takes place in old Salem, where Goodman Brown takes leave of his wife, Faith, to venture into the forest at night for some unstated work that must be done on this specific night between dusk and dawn. On his journey he meets the devil and follows him to a ceremony, possibly a black mass or a witches sabbat, and there he witnesses all the upstanding citizens from his town, including church elders, participating in the dark ritual. He also meets his wife Faith, but before he takes the plunge into sin, he looks upward and prays for the strength to resist the evil one, and awakens unsure whether it was all real or a dream. He then lives the rest of his life as a cynic, distrusting the hypocrisy that he sees around him. There is not much that is cheerful in this story. It is dark all the way through and ends in cynicism. 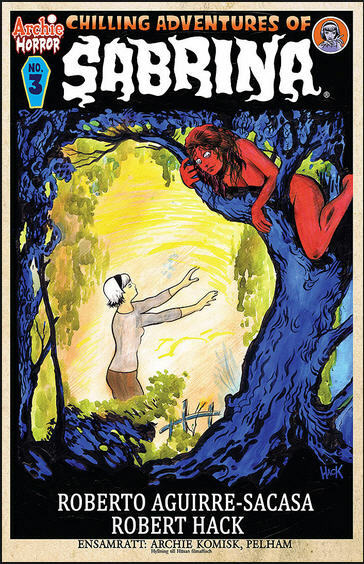 That said, it is such a great story and it forces one to look around and question notions of morality. Even if this is not the type of story you generally read, I highly recommend it. Click here to read it online.